You have found us! Welcome. We are Lakeway Texas’ premier locksmith business. With a staff of professional locksmith technicians at the top of their game and only the most premium quality parts, equipment and tools you can feel confident knowing that you made the best decision when you choose to use our locksmith business. Family owned and operated locksmith in Lakeway Texas. We are proud to announce that we are Lakeway Texas’ family owned locksmith business who is not too big to be able to offer personal service, but also not to small to be able to cater to every need of the community. The perfect sized locksmith business in Lakeway Texas! Years of service and commitment to the community of Lakeway Texas. For nearly 10 years our Lakeway locksmith company has been helping people just like you with all of the locksmith services needs. 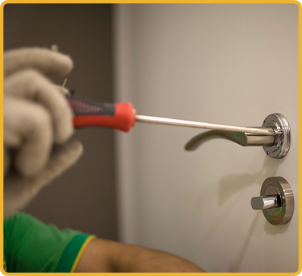 Over the years our commitment to the satisfaction of our clients, shear integrity and the joy of the locksmith trade has grown our Lakeway locksmith business into what it is today. Feel the difference of a low cost friendly locksmith service. Our mission is to help people and to maintain a business backed by morals that will ultimately pass value along to our customers. It is because of this simple notion that we need very little advertising expenses, passing the savings along to you. When you do good business like we do it shows in every aspect of the business.